Yu-Gi-Oh! Is clearly biased towards the Nintendo Switch otherwise he’d share his cards with the other consoles. Konami Digital Entertainment B.V have announced that Yu-Gi-Oh! Legacy of the Duelist: Link Evolution is headed exclusively to the Nintendo Switch this summer. Based on the official Yu-Gi-Oh! trading card game, Yu-Gi-Oh! 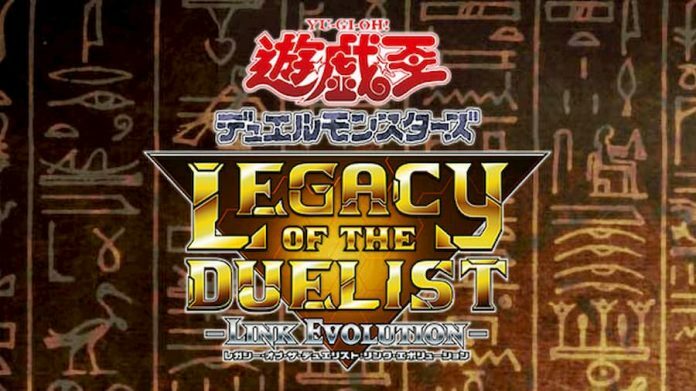 Legacy of the Duelist: Link Evolution brings more than 20 years of Yu-Gi-Oh! history to the Nintendo Switch. Players will take on iconic Duelists from the universe, reliving the stories from the original animated series through Yu-Gi-Oh! Arc-V and challenge the newest generation of Duelist from the virtual world of Yu-Gi-Oh! Vrains. Yu-Gi-Oh! Legacy of the Duelist: Link Evolution will allow you to: build and customise a deck from more than 9,000 cards, the most in any Yu-Gi-Oh! trading card game video game, challenge other players will local-play or Nintendo Online, use the Link Monster cards to change the way seasoned Duelists play their cards, take on the roles of the animated series’ villains in Reverse Duels, unlock battle packs for sealed play and draft play. This also includes all previous released Yu-Gi-Oh! Legacy of the Duelist content. Look out for more info on the game as we get closer to summer.